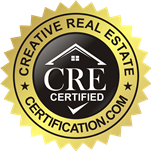 It can be hard to think of out-of-the-box real estate marketing ideas. Especially when you’re spending so much time driving around, and meeting with clients. However, you’ve got to think outside of the lines, and start making your email marketing and social media more interesting so that people want to look at it. Here are some marketing ideas you can use that will make your users want to view and follow your social media outlets daily. Make maps and guides for viewers. You can also include graphs and charts. Graphics are very important in a marketing plan. You must also learn to use photoshop. If you do not have the time, or desire to do so, you can hire a professional graphic designer who will add great, quality images and other visual aspects to your social media and/or blog posts. These graphics should highlight the best parts of your the area, such as places to go in the area, and so on. Create Instagram videos. This is a great one. People are attached to their Instagram pages, and viewing others. If you don’t already have an Instagram account, now is the time to get one. Friends and family, for example, can even post a picture or video for you and tag you. This is the way that you can reach the ultimate number of views, as your friends and family have online connections that don’t know you, thus expanding your online presence and (hopefully) business. Create a blog or YouTube channel. You’ll find this to be a very useful tool in terms of generating business and gaining social media followers. In your blogs and channel, you should highlight the going-on’s of the area such as the best restaurants, entertainment, and venues. Yes, buyers are mostly concerned with the price of the house, style, and size, they are also buying a neighborhood, and they know that. You may be thinking to yourself that apps such as Yelp already give homebuyers an idea of what’s in the neighborhood. However, it takes a long time to sort through all of that information. You should let them know WHICH restaurants and venues to check out on Yelp, for example. Show them where the locals go! Don’t forget to include your social media usernames in your blog, that way they can follow you! You don’t have to post every single day, but don’t let your blog get stale. You’ll want to update it as frequently as you can. If you have an assistant, you can also have him or her update for you. This is a common practice, as well. Or, you can hire a social media marketing manager. 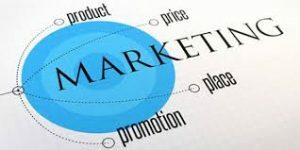 What if I can’t afford to pay someone to do my marketing for me? I don’t have an assistant either. Is there another way I can go about this? My social media is basically nonexistent. Thanks so much. 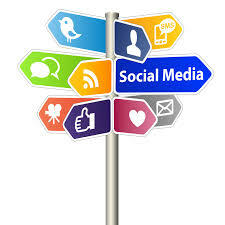 Like the article says, social media marketing is very important in the real estate world. I see that you do in fact realize this. Unfortunately, those are the only two ways to get the job done. Doing it yourself, or hiring someone. The only other option I sense, is that you may be able to find someone to mentor. Plenty of people are looking for a great real estate mentor when they are starting out. You generally do not have to pay them, either. However, it depends on if they are willing to do this for you or not. Chances are, if you are a big name, they’ll want to work to please you, and soak in whatever information they can. However, if you aren’t currently very successful, it may prove tough to find someone willing to write your blog for free.